Born and raised in Sydney, Australia, Ra has always loved costumes and dressing up. After studying Ancient History and Palaeontology at university for four years she was finally able to turn her love of costume into something productive when she was accepted to study Costume at the National Institute of Dramatic Art in 2012. Ra is a graduate from the Bachelor of Dramatic Art (Costume) at NIDA. She was lucky during the course of her studies to secure work experience on three motion pictures: on The Water Diviner she assisted in the costume workroom, on Gods of Egypt she worked in the art finishing department and on UNindian she assisted on-set with costume maintenance and stand-by. 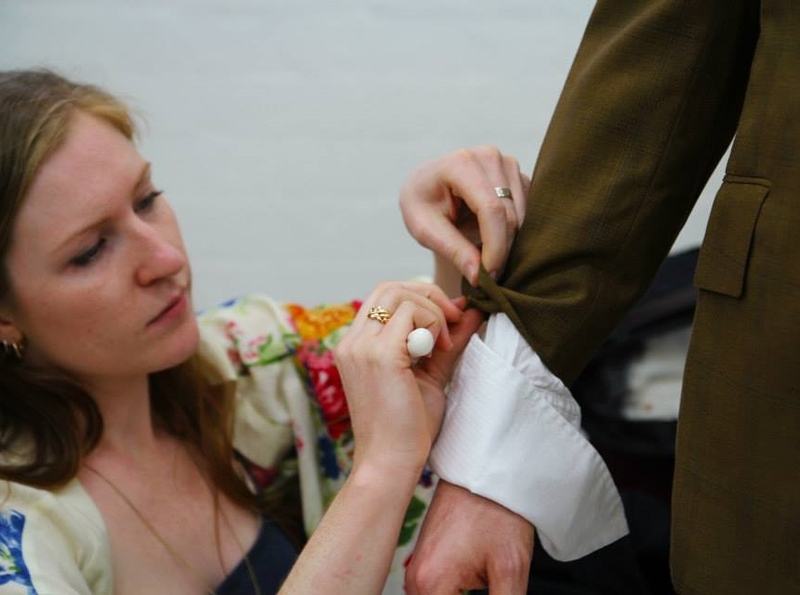 After graduating NIDA, Ra began work in the menswear department of Opera Australia, making costumes for major new productions such as The Marriage of Figaro (2015), Turandot (2016) and My Fair Lady (2016). At the start of 2017 she moved to Melbourne to work for The Australian Ballet on their recreation of Christopher Wheeldon's Alice's Adventures in Wonderland. Ra has also worked as a costume supervisor/dresser on The Cat in the Hat Show and The Hairy Maclary & Friends Show at the Sydney Opera House. Ra's time at NIDA prepared her for many aspects of costume realisation including design interpretation, flat pattern making, draping, tailoring, leatherwork, millinery, art finishing/textile art, footwear and costume supervising (including sourcing, budgeting, working with designers and directors and running a small crew team). Since graduating, her industry experience has mainly been in mens and ladies tailoring but she has also created many other costumes including a silver satin 1950s Dior-inspired gown, a sequinned showgirl corset, foam and lycra 'marsupial' costumes (for the opera The Rabbits) and a silk and lace Victorian-era gown with body padding and crinoline for a male ballet dancer.